Weird trends are just part of life these days. From asymmetrical jeans to rainbow eyebrows, you kind of feel like nothing is weird anymore. There's a new trend in the world of dog grooming, and it is pretty outrageous. 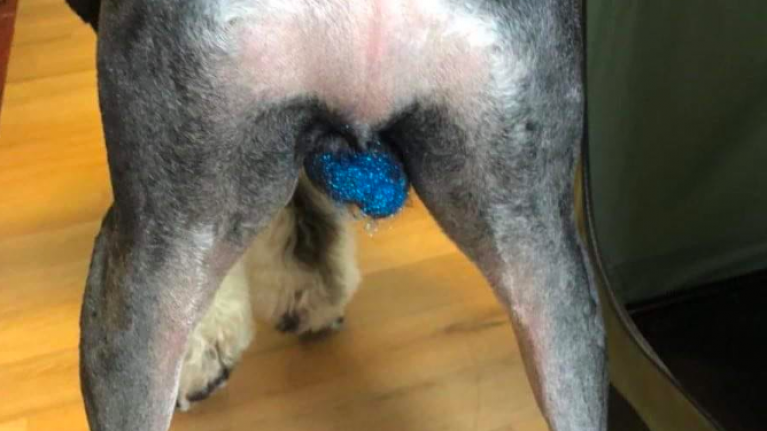 Well, certain owners have been putting glitter on their dog's testicles. Oh yes, we're 100 percent for real. Groomery Foolery, a dog groomers in in US, were where we first spotted this trend. "I have seen so many things in this career. Very few things surprise me." "Yet here I sit looking at glitter dog balls." "Done using corn syrup and edible glitter. Those are some sweet balls." Royal Paws Pet Salon in North Carolina also spotted the trend, and reacted accordingly. "I just thought I would let everybody know the latest creative grooming trend is glitter," the caption of their Facebook post reads. "Please know that I love doing creative but, I will NOT be doing this. Posting for your entertainment." We love 2019 so much!